We’re obsessed with answering that question. This free on-demand webinar will help you get new high-value donors online. The content marketing strategies taught in the webinar will grab the attention of likely donors, get new subscribers to your email list, and convert new subscribers into instant donors. What do you need help improving? After a workshop, conference, webinar, or other online fundraising training event, the most common question that people ask is, “Where do I start growing my online fundraising?” But the answer is rarely as simple as “Start with your donation page” or “Start with your email copy.” The answer always comes back to 3 key online fundraising metrics. A/B testing is something that not a lot of nonprofits are doing well – but those that are running a/b tests are seeing major lifts in donations and revenue. So how exactly do you start setting up and running a/b tests at your nonprofit that lead to major lifts? I’m going to show you how in the A/B testing guide for nonprofits. In the 8 steps below, you’ll learn exactly how to find where to test, what to test, and how to test. But before we get there, let’s look at why you need to be testing. That quote from Darrell Huff’s How to Lie With Statistics seems to be extremely relevant in the nonprofit sector. Now, I’m not going to call out any specific names or organizations, but I’ve seen this play out countless times. I’ve sat through many meetings, webinars, and conference sessions where the data being shared either a) doesn’t mean what the speaker thinks it means, b) has been cherry picked in order to make a point, or c) is just outright irrelevant to the point being made. 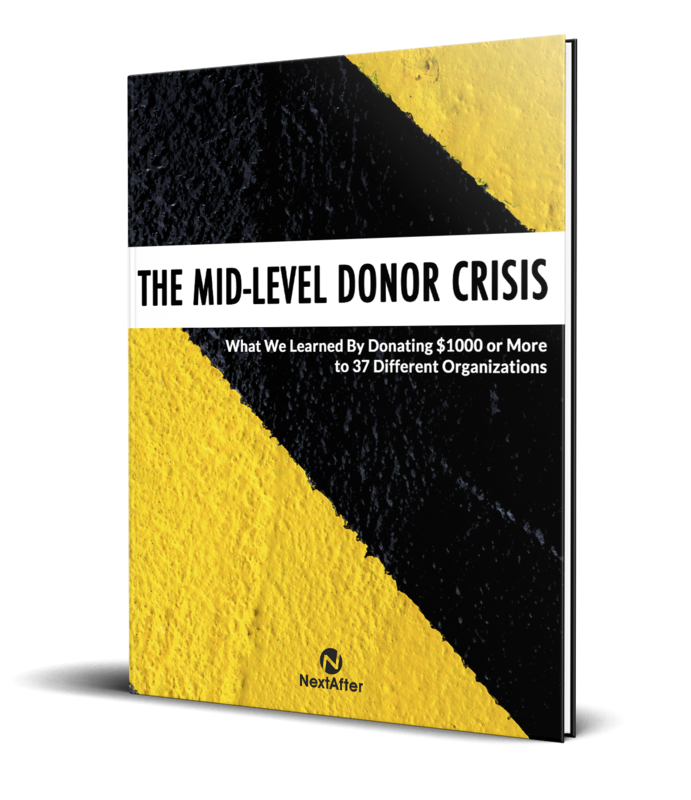 Is Your Online Fundraising Turning Away Donors? If you want to find out what really works in online fundraising, there’s only one expert whose opinion really matters: your donor. Experts suffer from something called the curse of knowledge. They literally know too much to be able to see the issues facing a novice. And when it comes to online fundraising, this curse is costing you donors and dollars. At the start of a new year, there’s a universal sense of resolve to look at our lives and consider what we’d like to do differently in the year to come. While it’s healthy to do this in our personal lives, it’s also essential to a healthy online fundraising program. To help you hit the ground running with your online fundraising in 2019, I’ve outlined 5 online fundraising habits that you need to stop doing right now. Not all of your data is important. So how do you determine what’s helpful, what’s not, and make decisions with the right data? Steve MacLaughlin has been analyzing data and helping nonprofits make data-driven decisions for many years, and shares some of his insights in an interview on the Nonprofit Innovation & Optimization Summit live stream. He also discusses how we should view new and emerging technology in relation to fundraising and nonprofit marketing. Come down to the NextAfter office for a full day of hands-on, research-driven training. These 3 certification workshops will give you the skills you need to acquire new donors, drive revenue using email marketing, and craft donation and landing pages that deliver more conversions and better results. In this webinar, Jon Powell breaks down the essential and critical elements of an effective year-end donation page to help you convert more donors this December. In this live webinar with Jon Powell, you’ll learn new tactics and strategies based on research, data, and years of running campaigns with top nonprofits that will help you reach more donors and drive more revenue this year-end. Drawing from a research library of 1,473 online fundraising experiments, the Weekly Fundraising Optimization Update will ensure that you’re the first to know about the latest innovative fundraising optimization strategies and tactics. Updates from the NextAfter team on the latest strategies in nonprofit fundraising optimization. Invitations to webinars and other online fundraising training events. First access to new fundraising research, resources, and tools. Subscribe using the form below to start becoming an innovative online fundraiser.